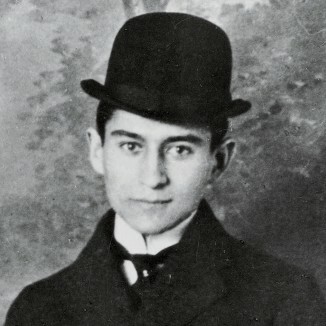 Franz Kafka (3 July 1883 – 3 June 1924) was a German-language writer of novels and short stories, regarded by critics as one of the most influential authors of the 20th century. Kafka strongly influenced genres such as existentialism. Most of his works, such as "Die Verwandlung" ("The Metamorphosis"), Der Prozess (The Trial), and Das Schloss (The Castle), are filled with the themes and archetypes of alienation, physical and psychological brutality, parent–child conflict, characters on a terrifying quest, labyrinths of bureaucracy, and mystical transformations.